Hey there YOU, you eat some Rabbit! For a dish of sweet glazed bunny. I tell you, Sam, it's just not funny. How about some rabbit stew? I'll make a pot, just for you? I cannot eat it, Sam-I-Am. That's a dish you won't deny? I will not taste it Sam-I-Am. Well, here's a dish, you'll love, I bet. Share with me some rabbit rillette. You may not, but I do care. That sounds like a better plan. Please no lapin on my plate. Rabbit's not the dish for me. I told you Sam, I don't eat bunny! How about I change the name? And we'll just start this thing again. If I say Rarebit, will you bite? I think you will, I think you might? How could such ingredients fail? Try the Rarebit before you die. Say! It's true I like the Rarebit. I'd even say I like it a fair bit. Thank you, thank you, thank you Sam! 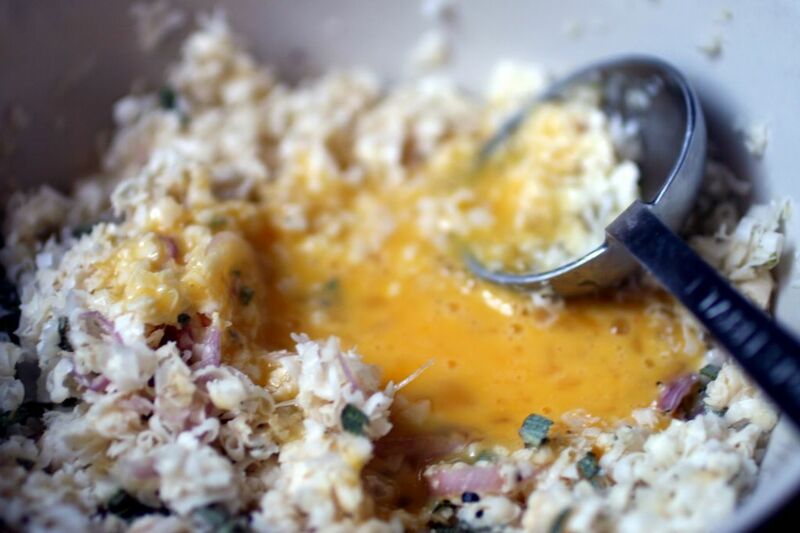 This Welsh Rarebit, a mixture of cheese, egg, mustard and Ale, was made using a recipe from Delia Smith who prefers to call it Welsh Rabbit. Read more here about the Welsh Rabbit v Rarebit debate. (Thanks Amy, for the link). The post was written for Jeanne and Anthony's EOMEOTE for August 2005, which required the post be written in Dr Seuss style. Most of the ingredients used were local. Eatwell Farm's eggs and sage, onions from Heirloom Organics, Three Sister's Farmstead Serenita cheese and Acme Pain au Levain. Archive Alert! On this day in 2004, I was having dinner at the house of Vinny and my ex roomate D who is originally from New Orleans. We are keeping our fingers crossed for her family. Please think about donating to send relief effort to the stricken area. Thank you. VERY good Seussification! I writhe in agony when I read bad imitations. You nailed it. I'm glad you are spreading the non bunrab eating word Sam. Delightful Seuss, but I will not call you Dr. Sam. Do you know some of the amazing American-named versions of rarebit? Try "blushing bunny" (made with tomato added), "rink tum ditty", or "English monkey"! This was a good diversion on a day filled with bitter news. Pure genius - I love it! If Lucas ever lets you go, you have a rosy future ahead of you as a poet! ....I was SO sure it was Fanny! Brilliant. YOur pix are just wonderful. I love welsh rarebit (as im used to say) by the way. The sounds of wild, enthusiastic applause waft faintly from the Southeast. 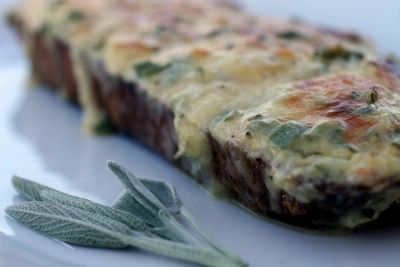 Actually, I'm planning on rarebit this weekend and it looks like I'll have to versify. My mum will confirm - I have been a poet all my life. Big childhood hero was Pam Ayers. Hmm - say no more. I was a bit rushed when I wrote this. With a little more time I could make it much much better, but you know blogging, a post is here today and gone tomrrow like the wind. kevin - dont forget to put a LOT of mustard in your rarebit! That is amazing :) just made my day! This was really fantastic. I'm so impressed by your long Seuss poem. I've never had Welsh Rarebit (as I've most often seen it), but now I'm really tempted to give it a whirl.